The Senate passed a bill that renders the national anthem gender neutral Wednesday despite the entrenched opposition of some Conservative senators. The House of Commons overwhelmingly passed a private member's bill in 2016 that would alter the national anthem by replacing "in all thy sons command" with "in all of us command" as part of a push to strike gendered language from O Canada. The bill was first introduced by Liberal MP Mauril Bélanger, who died in 2016. It now must receive royal assent by the Governor General before it officially becomes law. Since 1980, when O Canada officially became the country's anthem, 12 bills have been introduced in the House to strip the gendered reference to "sons," which some have argued is discriminatory. All attempts have failed until now. The song was written by Robert Stanley Weir in 1908 and has been changed before — including an update that dates back to before the First World War when the author added the line that later sparked so much debate. Weir, a poet and judge, changed "thou dost in us command" to "in all thy sons command." Independent Ontario Sen. Frances Lankin, the sponsor of Bélanger's bill the upper house, said she was elated after the bill's passage. "I'm very, very happy. There's been 30 years plus of activity trying to make our national anthem, this important thing about our country, inclusive of all of us," she said. "This may be small, it's about two words, but it's huge ... we can now sing it with pride knowing the law will support us in terms of the language. I'm proud to be part of the group that made this happen." Independent Quebec Sen. Chantal Petitclerc, a former Paralympian who has been awarded 14 gold medals for wheelchair racing, said she was "jealous" of those athletes headed to Pyeongchang for the winter games, as they will finally be able to sing a gender neutral anthem — an option that wasn't open to her when she competed internationally in the 1990s and early 2000s. "I had the privilege to be on the podium many times and I never had the chance to sing 'In all of us command,'" she said. "I can only imagine what they'll feel when they're on the step of that podium ... it's an amazing moment." Lankin's efforts to get the bill passed were stymied by some Conservative senators who thought Parliament had no business tinkering with the words of a song written by a man long dead. After 18 months of debate in the Red Chamber, Lankin introduced a controversial motion in the Senate Tuesday evening that would effectively shut down debate and immediately move to a vote on the bill. Conservative senators were furious that Manitoba Sen. Don Plett, who has long opposed the bill, was not able to speak in opposition to such a motion. They said it was an affront to democracy to use these time-limiting motions to silence the opposition. "When a majority of individuals decide to shut down discourse in this place, democracy dies. We need to be very wary of tools that muzzle debate ... that is the fundamental right you have, to get up and speak on any piece of legislation, none of us have the right to take that away," Conservative Sen. Leo Housakos, himself a former Speaker, said ahead of the vote. Larry Smith, the Conservative leader in the Senate, call Lankin's motion that finally ended debate — officially called a "dilatory motion" — a "Draconian tool" that has never before been used by an Independent senator that was like a "guillotine" coming down on voices in the minority. "It's very unfortunate. It just shows you that things aren't functioning in the way they should," he said. Plett said Wednesday that a change such as altering the national anthem should be put to a referendum. 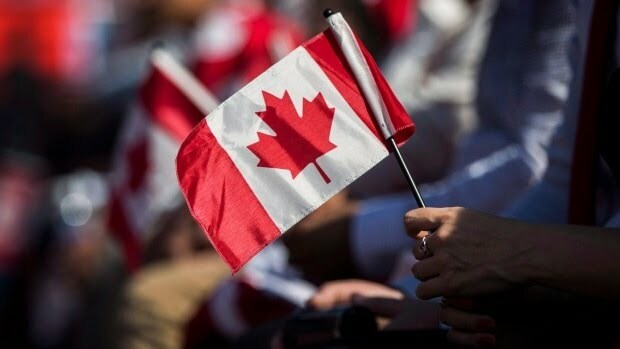 "Clearly, I'm disappointed ... it's been a long fight, I believe the Canadian public wanted a say in our national anthem, just like they had in the great Canadian flag debate. This is an issue for the Canadian public to decide not just a couple of Independent senators." Conservatives boycotted a vote on Lankin's motion and thus missed the final vote on the bill, which passed on a voice vote as only Independent and Liberal senators — who were largely in favour of the change — were present in the chamber. Although, some "nays" could be heard coming from a handful of those senators. "There's a lot of political theatre taking place right now and it's unfortunate members of the Conservative caucus weren't there to vote," Lankin said. At least one Conservative senator accused Senate Speaker George Furey — who was appointed as a Liberal by Jean Chrétien but now identifies as non-affiliated in his non-partisan role as Speaker — of conspiring with Independent and Liberal senators to ignore Conservative senators who wanted to speak against the bill. Retired Conservative senator Nancy Ruth, who introduced a similar bill some 10 years ago, was in the chamber Wednesday to see Bélanger's bill pass. "I'm feeling excited, and thrilled, and the Independents are fabulous," she said. When asked what she thought of her former Conservative caucus colleagues boycotting the vote, Ruth deferred. "I couldn't say."